Kitchen Tip: What is a Roux? There are two basic ways to “thicken” sauces, gravy and stews. For anything that needs to be thicken I use one of two methods; roux or slurry. A roux is used to thicken mixtures such as soups and sauces. 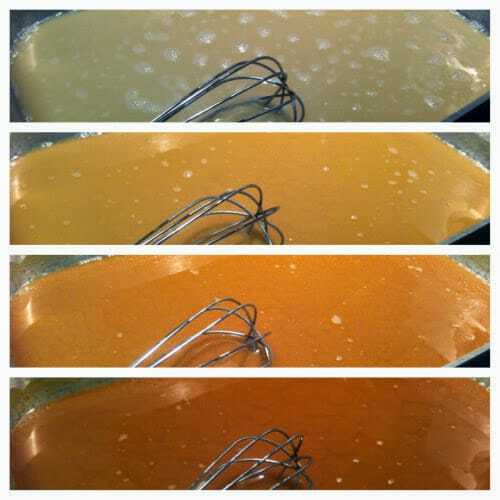 Since this post is about a roux, let’s find out “what is a slurry.” Slurry is a thin paste of water and starch (flour, cornstarch or arrowroot), which is added to soups, stews and sauces as a thickener. After the slurry has been added, the mixture is typically stirred and cooked for a few minutes in order to thicken and lose any raw taste. A few days ago I received a call from my son Bob. His wife Kim was making a Cheddar Cheese Soup and the recipe called for making a roux. They often call me with a “cooking question,” and I am always happy to answer. I am thrilled when my kids take an interest in cooking.. So, to answer your question Bob and Kim, a roux is. A roux (ROO) is a mixture of flour and fat that, after being slowly cooked over low heat, is used to thicken mixtures such as soups and sauces. There are three classic roux: white, blond, and brown/dark. The color and flavor is determined by the length of time the mixture is cooked. Both white and blond roux are made with butter. A light roux is cooked until pale golden. Blond roux is cooked until it is beige. Both are used to thicken cream and white sauces and light soups. if not destroyed by high heat, interferes with flour’s thickening ability. Cooking flour also changes the flour’s raw taste to a toasty or nutty flavor. Both the flavor and the color become deeper the longer the roux cooks. cooking flour in fat helps to keep the starch in the flour from forming long strands or clumps when the roux is combined with a liquid. Keep in mind that the same weight of white roux has more thickening power than a darker roux, because the browning process causes some of the starch in the flour to break down. The darker the roux, the less thickening power it has. lend a nutty/toasted flavor. Dark roux is important in Creole and Cajun cuisines, which gives gumbos and stews a unique character. Another advantage of using a roux, is that the starches present in the flour do not break down as easily as some others, creating a more stable sauce. Roux is prepared primarily with all-purpose flour, due to its starch content. other rendered fats may also be used. Each fat will change the finished dish’s flavor. Choose the fat you want to use. The fat you use to make a roux greatly impacts its flavor. Use bacon drippings to create a smoky, salty base for the dish you’re making. Butter adds richness and shortening and other types of oil tend to create a light flavor. Use the fat recommended in the recipe you’re using. such as a chowder, cheese soup or mac ‘n cheese. Use shortening to make a roux for gratin dishes. Heat fat in a skillet. Use a cast-iron skillet or another heavy frying pan. Place the pan over medium high heat and add the fat. Let the fat heat until it has just melted. If using oil, let oil heat up for 2 minutes. Add the flour. Place the flour in the skillet with the fat. Use a whisk to begin stirring the mixture constantly. Use the whisk to break up any lumps in the flour and distribute it evenly through the melted fat. For a thicker roux: add an extra 1/4 cup of flour. For a thinner roux: reduce the flour by 1/4 cup. Cook the roux. Continue whisking the roux constantly while it cooks. The mixture will begin to thin and darken after several minutes. Continue cooking until it has the color and consistency you need. Remove the roux from heat. When the roux has reached the color and texture you want, remove it from the heat. It’s now ready to use. Store the roux. If you want to use the roux later, place it in a food storage container and keep it covered in the refrigerator. You can scoop out as much as you need on a recipe by recipe basis. Info from: The Professional Chef: The Culinary Institute of America 8th Edition.